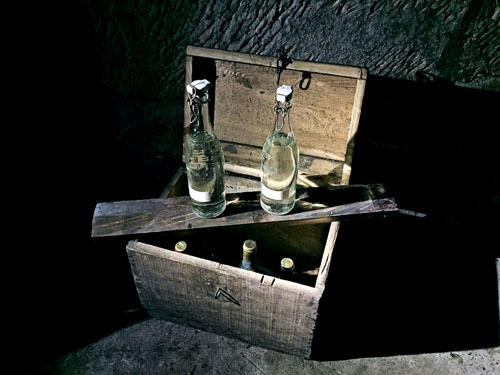 It all began with some dusty bottles in a wooden box out of the cellar of the deceased grandfather. Quite incredible he never wrote down the recipe of VEGEFEUER that he invented. When we opened the first bottle at the table we realized: there is nothing like VEGEFEUER. Step by step we retraced the recipe and finally brought it back to life. The VEGEFEUER, written as it was, meets the taste of today. After sampling drinks for the past 9 years VEGEFEUER is one of the occasional gold nuggets you stumble across.